Introducing guest author Rosemary McCracken and BLACK WATER - a gripping and compelling read! I got to know Rosemary a few years ago, when I had the privilege to be her Mentor in the Crime Writers of Canada Mentorship program. Now, I've mentored many fiction writers - probably over 1000 - through my classes at Sheridan College. You know that great feeling one gets when you discover a new writer you know is going to be a hit? I felt that way about Rosemary. And here it is: her second novel. Enjoy! I wrote several stories when I was a child. They were pretty dreadful, and at the age of nine or ten I had no idea how to make them better. So I stopped writing fiction. If only I’d kept on. My writing and my storytelling abilities would have improved. Instead, I became an avid reader and went on to study English literature at university. I was told that I had a talent for putting words together. After university, I became a newspaper journalist because it involved writing. And I’ve been writing and editing newspaper and magazine articles for the past thirty years. But deep down I wanted to write fiction instead of relating facts. I wanted to create my own stories instead of reporting those of other people. One day I overheard a conversation between a newspaper editor and a fellow reporter. This reporter was a terrific newshound. She could sniff out a good story and track down wonderful sources to interview. But she had trouble building an article out of her wealth of information. She’d get stuck on the first sentence. Turn off your internal editor. The words resonated. As a journalist, I never had problems writing articles. I had to write to deadlines, and at daily newspapers, those were usually daily deadlines. I had no choice but to submit an article and move on to the next. I had no time to listen to internal editors when I had editors in the newsroom saying they wanted that article ASAP. But I remembered the internal editor I’d listened to as a child, and I realized that I was vulnerable to that voice when I was writing fiction. And that was because I was working completely on my own, without deadlines and without feedback. I decided to take another run at fiction writing. With some difficulty, I managed to tune out my internal editor while I was writing. I focused on getting the story out, sentence by sentence, page by page. Later, the following day or the following week, I revisited these pages with my editor’s voice turned on but firmly in check. I tightened and reworked sentences and paragraphs. I discarded entire pages if necessary. I joined a writers’ group that meets once a month. This provides deadlines, and I work well to deadlines. 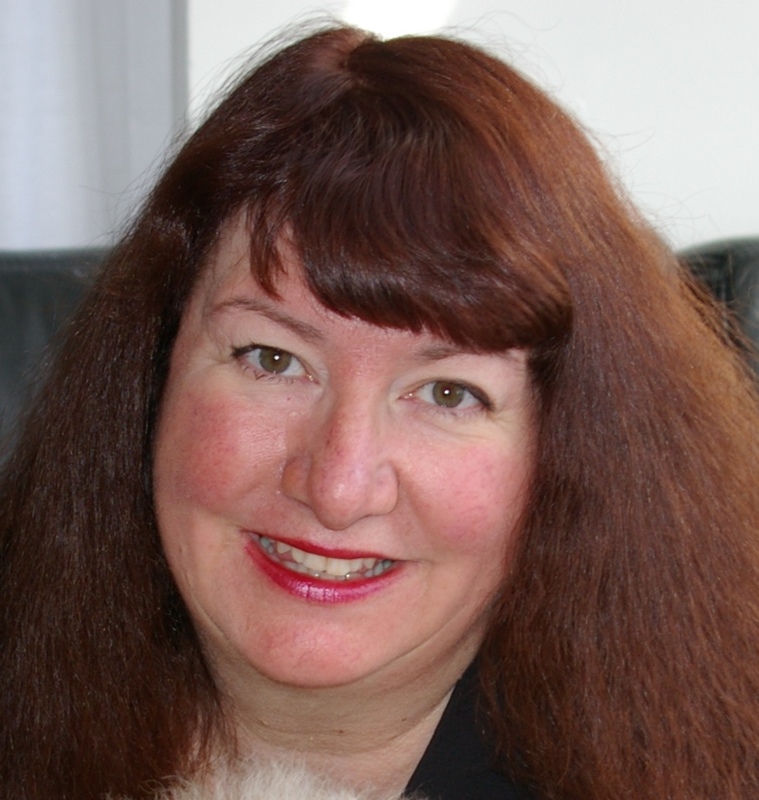 I joined networking groups such as Crime Writers of Canada and Sisters in Crime. Several years ago, I left my full-time job at a Toronto newspaper and became a freelance journalist to free up more time for fiction writing. I submitted work to literary contests. Slowly, I made progress. I had short stories published in anthologies. I made the shortlist on some pretty prestigious writing contests. Then last year, my debut mystery, Safe Harbor, was published as an ebook and a paperback by Imajin Books. 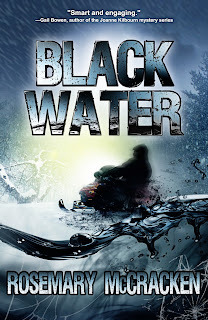 Its sequel, Black Water, has just been released. I’m still vulnerable to my internal editor who likes to compare my writing—usually unfavourably—with the works of other writers. I need to tune out these comments, and with practice, this becomes easier to do. The voice will always be there, and it can be useful when my work needs editing. But it has to be kept firmly in check. To win a $50 Amazon gift certificate, enter the contest here. Deadline is June 15. ROWENA AND THE DARK LORD, book 2 in the series, has just been released. I’m currently writing book three and have discovered a fascinating thing about fantasy. Here’s the trouble with magic: if you allow a mage to be all-powerful, what’s to stop him from killing everyone he doesn’t like, grabbing the girl, and getting his way all the time? Nice for him, but not much of a story for our readers. So…I have learned that the thing about writing books with magic in them is you need to establish limits to that magic. In fact, you need rules. These rules need to be logical, and they need to be consistent. They can’t be too complex - readers must be able to understand them. In ROWENA AND THE DARK LORD, Cedric is the main user of magic. He is also the villain (Author insert here: or is he?) Cedric is learning magic, and becoming more powerful. He has gone over to the dark side to pick up more power. He can create armies of ghostly faceless warriors. But he has a major limit. He can’t do magic from a distance. Therefore, he can’t kill or inflict harm on someone he can’t actually see. Rowena is also a user of magic. But she is an ‘infant witch,’ untrained. She has a magic bracelet, and no idea how to use it. Then she finds out that with the bracelet, she can channel magic. So if someone is around, happening to use magic, she can misdirect it. But she doesn’t know how to create it herself. These limits on magic allow me to create a lively and funny plot in ROWENA AND THE DARK LORD. There is misfiring magic all over the place. A Roman Legion gets taken out of time, and time itself is in jeopardy. We take care of that one in book three. Gareth and Lars already had their swords drawn. They tried to move in front of me but I spread my arms to hold them back. “Sheath your weapons,” I commanded. They hesitated, eyeing the wall of men and knives. With reluctance the swords slid back into their scabbards. The man on the horse wore a breastplate the sort of armor that you only saw in museums back home. Or movies. I was reminded of Cleopatra starring Elizabeth Taylor. Richard Burton playing the part of Marc Antony. “It’s a freaking temporal rift!” My laugh was strident. “Where the hell is Spock when you need him? Melodie Campbell achieved a personal best this year when Library Journal compared her to Janet Evanovich. 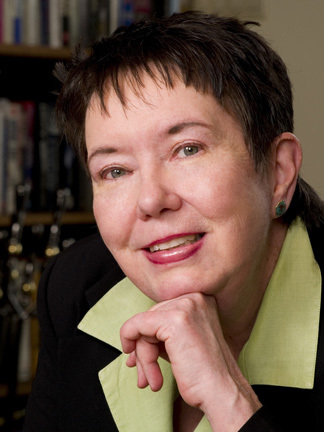 She has over 200 publications, including 100 comedy credits, 40 short stories, and 4 novels. She has won 6 awards for fiction. Okay, so that’s a lie. Leave ROWENA AND THE DARK LORD behind? Not write a sequel? I’m starting to hyperventilate. Actually, I love writing comedies. It’s in my blood. So when it came to writing fantasy novels, I fell back into ‘safe mode’. Write it funny. One reason, and one reason only: many readers love it. Their comments and reviews are heart-lifting. I’ve lightened their day with adventure and laughter, and in some cases given them a story they can escape into, over and over again. Yes it’s true. It wouldn’t be fun to write if I didn’t have warm and generous readers. I was beginning to get a very bad feeling. “Yes.” Howard was now relieving himself off to my right. “Why?” My voice was perhaps a little harsh. I rolled my eyes. So now I had a complete newbie horse dude who was also a coward to look after on this trip. Howard the Coward. Lucky me. “Can we sit for a bit? I’m exhausted.” He plunked down on the grass. Then he sprang up again. “Ow! Ow! Ow!” He ran around in circles. “What is it?” I watched in amazement. “Does it matter?” He was jumping up and down. “Ahhh!! Take it out! Get it out!” He lifted his tunic and bent over. Giveaway ends May 30, 2013. Today, I found out what one little vowel can do to ROWENA AND THE DARK LORD, book 2 in the Lands End series. Okay, REALLY uncool when you misspell the name of your own book on your own blog. 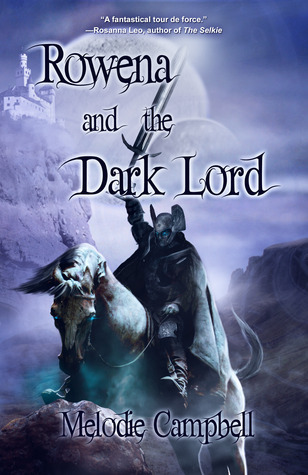 ROWENA AND THE DARK LARD is probably not the best way to get sales for a fantasy series. However, as I do write comedy, I'm thinking about a parody.